10 issues per year plus full access to the online archive and an IMTJ subscription. 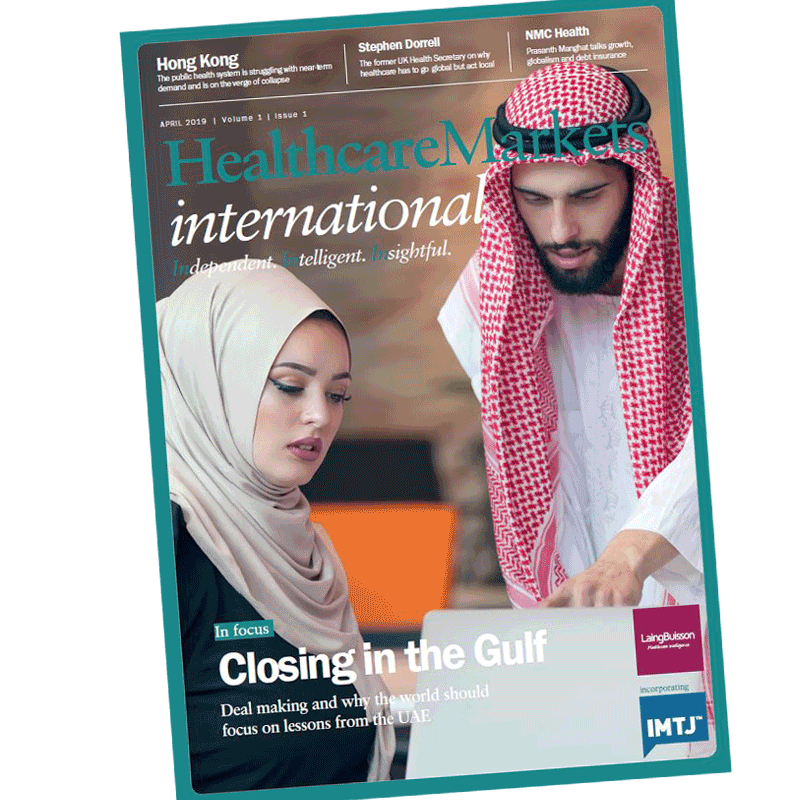 Healthcare Markets international is the only publication to look at the industry globally and captures the cross-border dynamics. 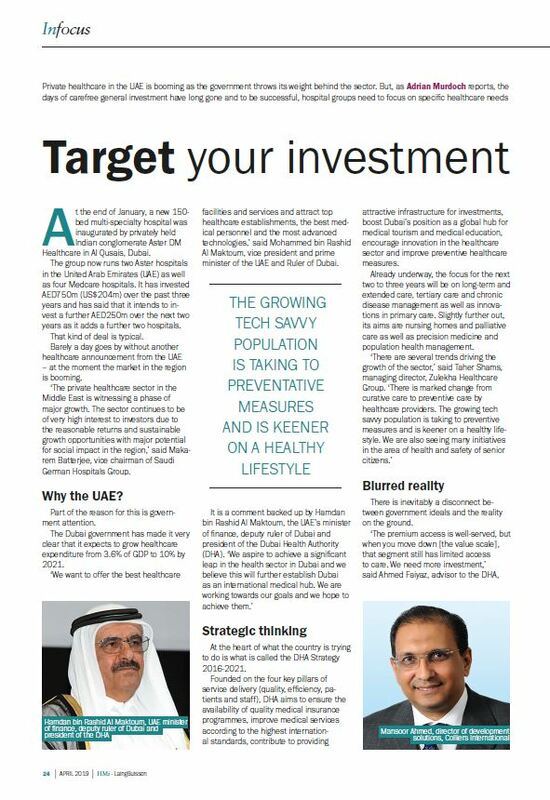 We interview the leading CEOs and influencers, report on the deals, publish the best thought-leadership and combine it with market data and in-depth analysis. We focus on hard facts. 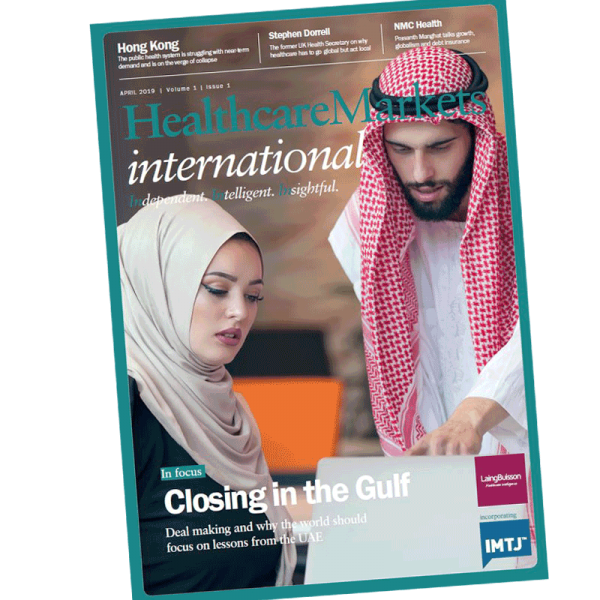 Healthcare Markets international delivers comprehensive, reliable and independent reporting on the full range of acute and primary healthcare services markets operating around the world. 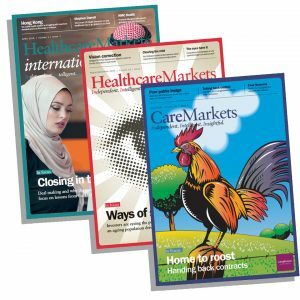 The journal covers medical and surgical hospitals and clinics, psychiatric hospitals, dentistry, primary healthcare and temporary/flexible staffing. 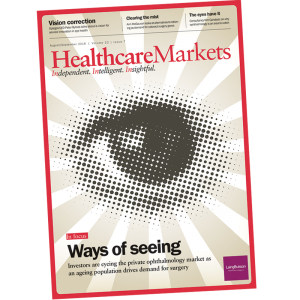 Always at the forefront of the news, Healthcare Markets international prides itself on its interviews with leading names in the sector, its in depth features and business news coverage which is second to none, providing invaluable insight and analysis. 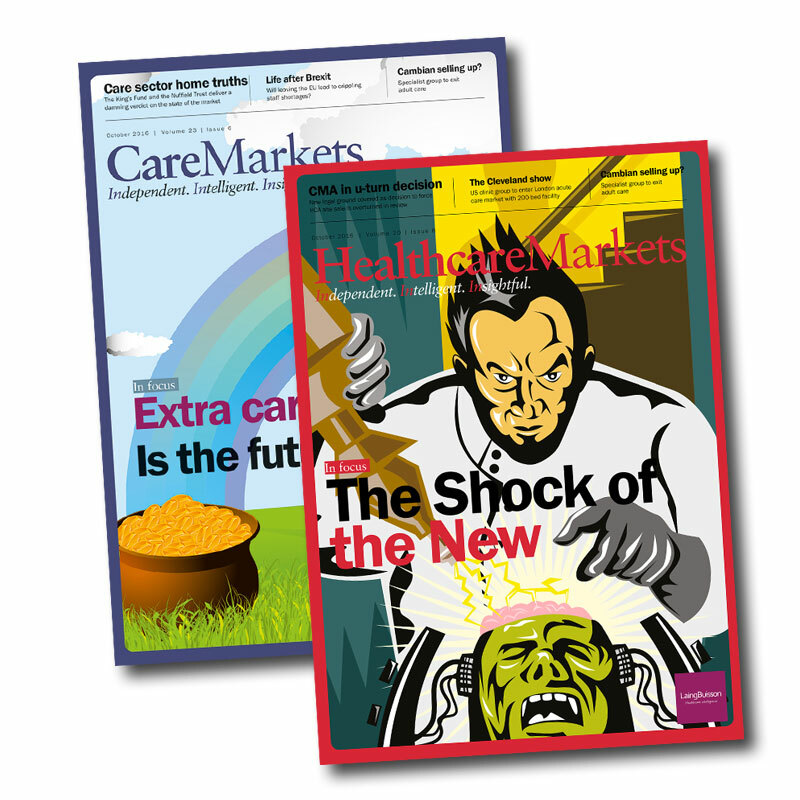 Themed issues, guest writers and unique early access to the intelligence which feeds into LaingBuisson’s leading sector reports, make Healthcare Markets international the must read publication covering the international business of acute care. 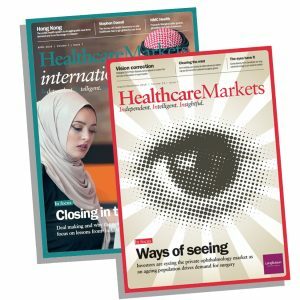 The International Medical Travel Journal (IMTJ) was established in 2007 in response to the increasing interest in medical travel and medical tourism. It embraces many of the themes that challenge healthcare providers across the world – insurance, accreditation, marketing and promotion, quality, patient safety, levels of care and experience in treating international patients. 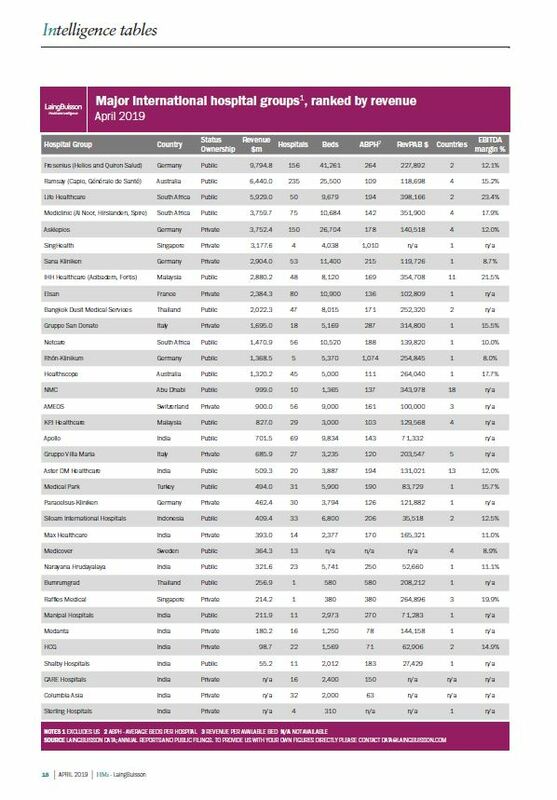 A unique feature of this publication, and our sister UK publications Healthcare Markets and Care Markets, is the access to healthcare intelligence contained within LaingBuisson’s proprietary database and consultancy teams. This allows the implications of each article to be assessed in the context of underlying trends and emerging market forces. Subscribers have access to our password protected news stream and fully searchable online archive of stories dating back well over a decade. 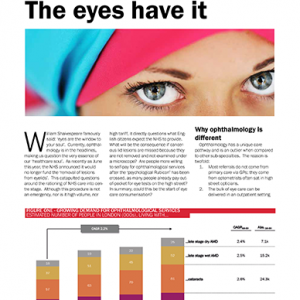 Our digital subscriptions also includes use of an online portal where you’ll find PDF editions of each monthly issue – available to download in advance of distribution of the print copy.